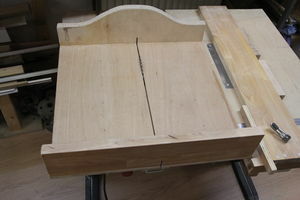 Cross cut sled. You need this to make cuts on the saw table of material that is wider than it is long. Do note: You require training to use the saw / router table. This page was last edited on 29 March 2017, at 22:28.